“SYMPHONY HOUR!” with PEGLEG PETE from WALT DISNEY’s WDCC Collection. 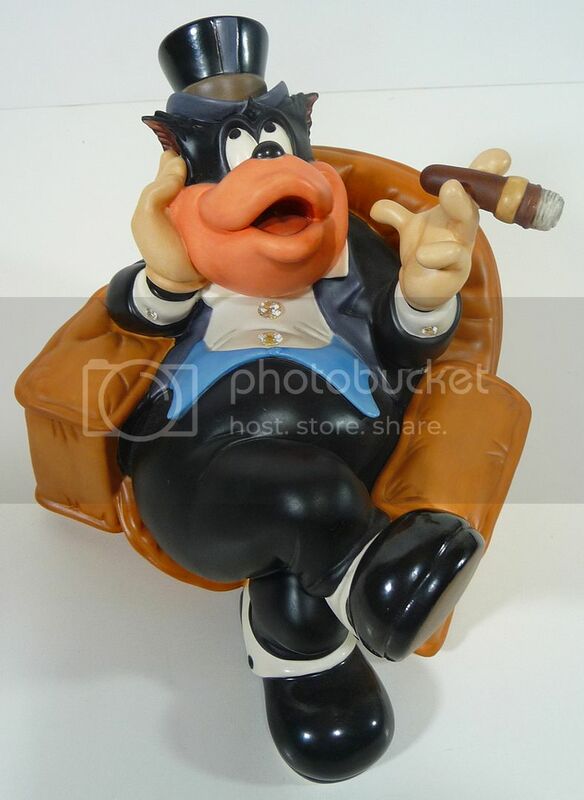 This is a limited edition piece (#11875/12500) of one of the great Disney villians who’s been around since the earliest days of the studio (he even pre-dates Mickey). Symphony Hour is a 1942 American animated short film produced by Walt Disney Productions and released by RKO Radio Pictures. 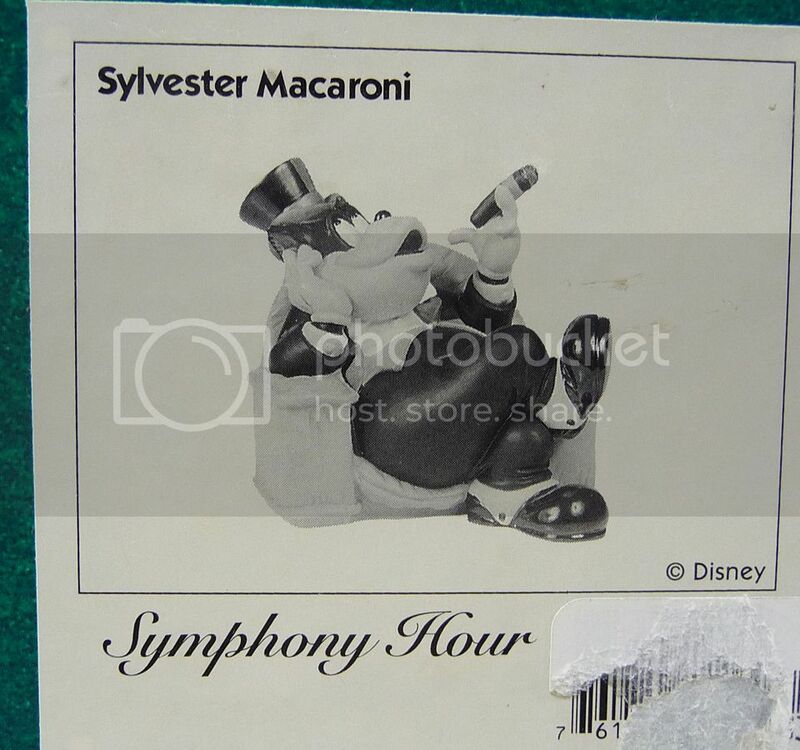 The cartoon depicts Mickey Mouse conducting a symphony orchestra sponsored by Pegleg Pete as Mr. Sylvester Macaroni. Pete relaxes in a comfy chair while he listens to the symphony. Cufflinks and shirt studs are made of crystal! THIS PIECE IS IN GREAT SHAPE WITH NO CRACKS, CHIPS, ETC! 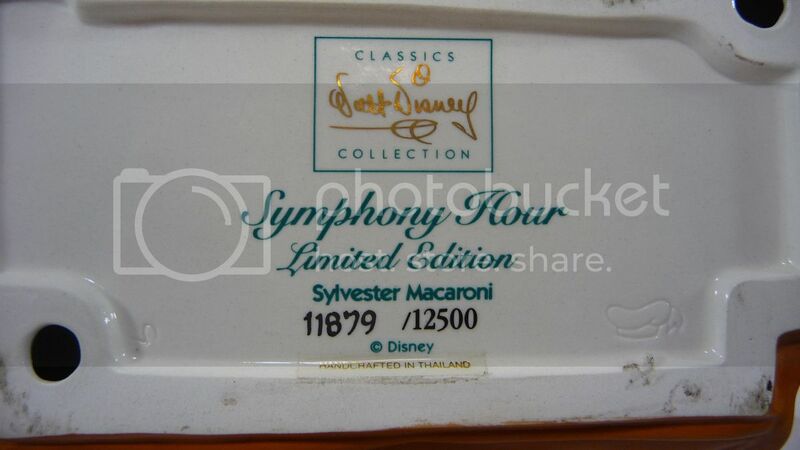 The bottom is marked Classic Walt Disney Collection – Symphony Hour – Limited Edition (#11875/12500) Sylvester Macaroni. Handcrafted in Thailand. 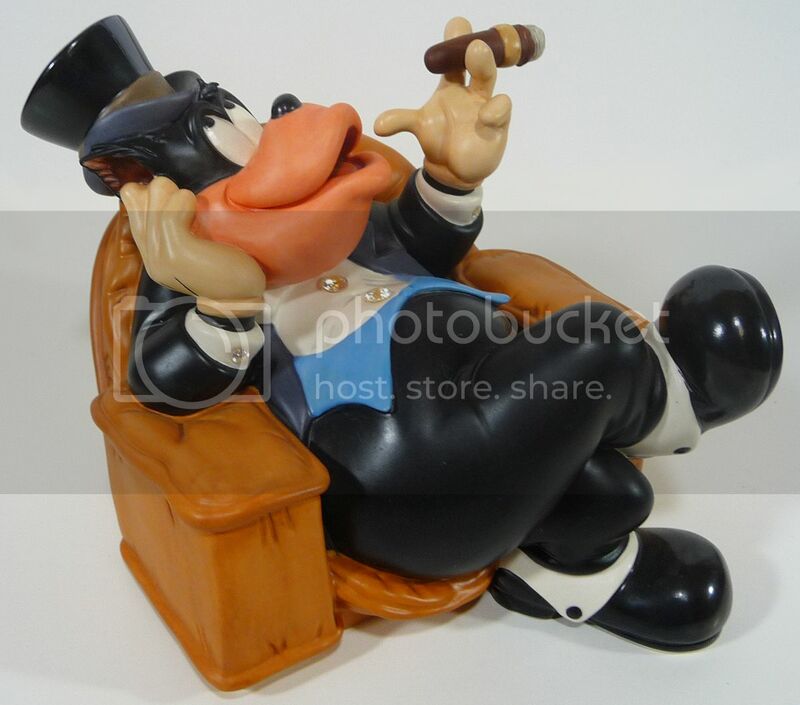 Pete sits about 5″ high and about 7″ long. This item comes with it’s original box. 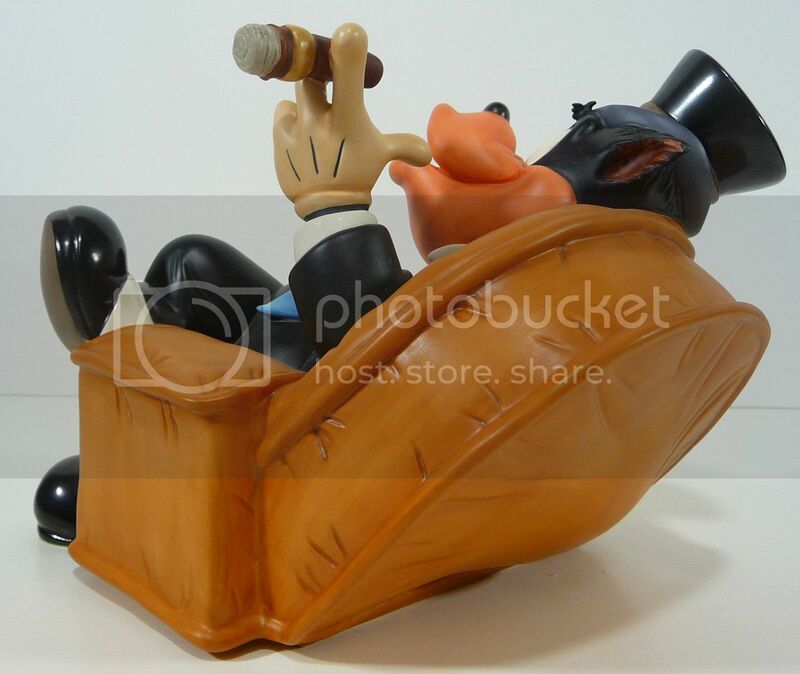 This would be an outstanding addition to any DISNEY Collection. SKU: pop4. 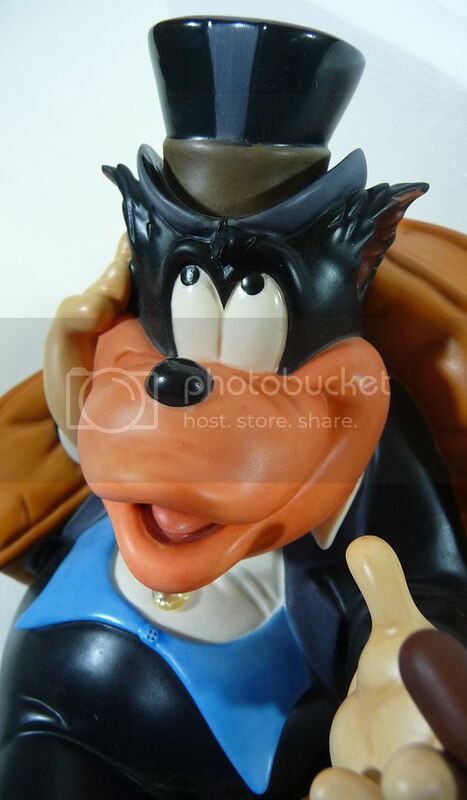 Categories: DISNEYANA, FIGURES, IN-STORE ONLY, STATUES & FIGURES. Tags: disney, Pegleg Pete, Symphony Hour, WDCC. 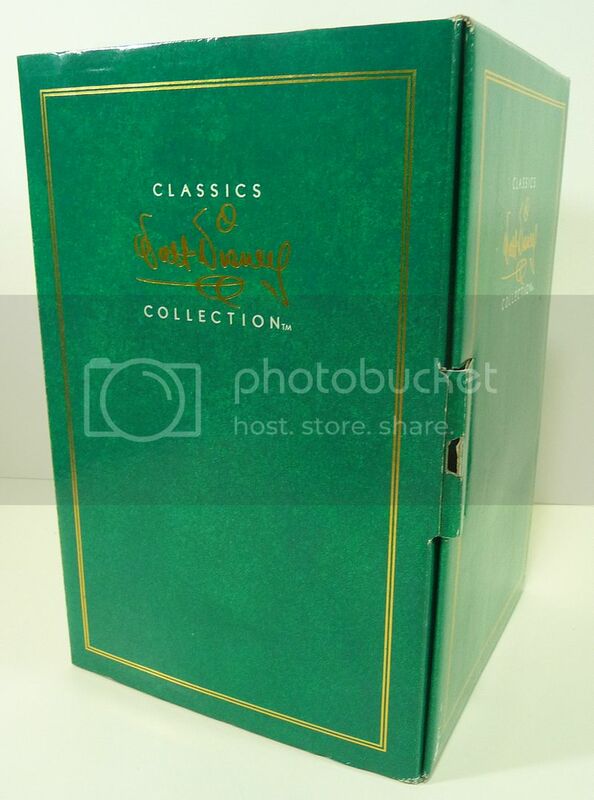 Be the first to review “PEGLEG PETE from DISNEY’S WDCC Collection “SYMPHONY HOUR” (1996)” Click here to cancel reply.